Every summer, the UCA & UDA College Staff head to Texas to kick off the first camp of the summer. The Staff who are there to teach camp come together four days before the teams arrive to create the iconic College Demo; a demonstration of dance routines, elite pyramids, stunts and baskets choreographed in synch. 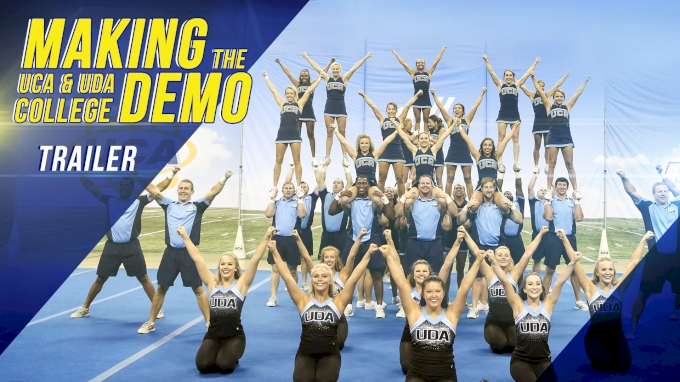 The College Demo was the first cheer and dance routine put to music in the mid 70s, and has since evolved into a camp kickoff that college cheer and dance athletes look forward to every summer. This two-part documentary takes you through the process of making the college demo and the final performance. The Staff have to be perfect, and so does the product they put out on the mat.